Two men are dead after they crashed into a building when someone opened fire on them on the South Side Sunday. 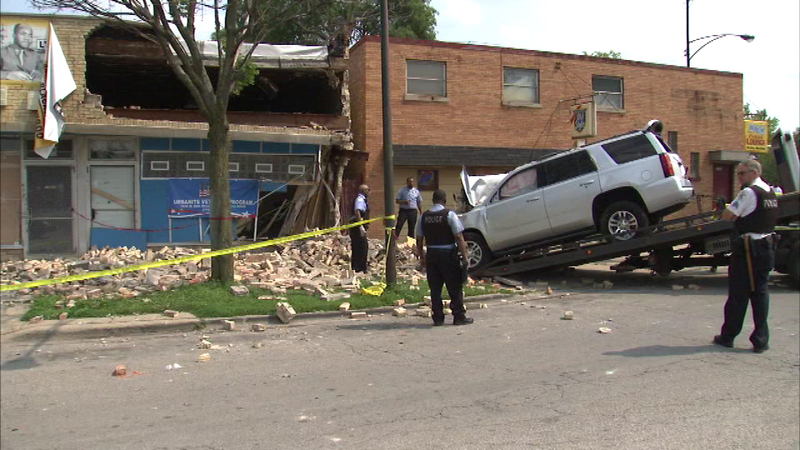 CHICAGO (WLS) -- Two men are dead after they crashed into a building when someone opened fire on them on the South Side Sunday. The men, both of Jefferson City, Mo., were identified as Willie Hunter, 31, and John L. Hunter, 25. Police say the two were sitting in an SUV near 89th Street and Ashland in the city's Auburn Gresham neighborhood when someone walked up and opened fire. They tried driving away and crashed into an organization that helps veterans. Both men died. An official with the veteran's organization said the damage will not affect their mission. "Maybe knocked two or three of our computers outside, but other than that it's just a very small portion of the building," said Sodipo Jordan, Urbanite Veterans Program. "The way the building is structured, it comes out brick and this was already slanting in, so it looks worse than it is. We're still up and operating and we'll be working Monday."